After seven arduous years that saw the band release a string of singles but only one album, Brutus called it quits in late '76. This left Toronto native and frontman Zwol (real name Walter Zwolinski) regrouping and going solo. A year later after assembling a back up band which partially consisted of ex-Brutus mate Dennis Pinhorn on bass, guitarist Phillip Donnelly, Jim Isbell on drums and Charles Chalmers on horns. Touring the local circuit, he became the first Canadian artist to sign directly with an American label, EMI when he hooked up with manager George Elmes. 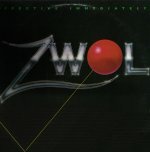 Zwol took some material to Crazy Mama Studios in Nashville, and had wrapped up the bulk of the sessions at Miami's Criteria Studios by early '78. The eponymous debut was released a few months later, and produced by Zwol and the team of Roger Cook and Ralph Murphy, was an instant critic's favourite. Murphy was the producer on the Brutus album, and all the songs on the new record were written solely by Zwol, with the exceptions of "Every Man For Himself," co-written by Murphy, and "Use My Love," written with Stacey Heydon, who'd just come off a tour with David Bowie. "Call Out My Name" was released as the first single, and managed to gain respectible airplay on the Toronto airwaves, even cracking the Top 10 and being pressed twice as a 45 and once as a 7" for club use and backed by "Cheerleader," not on the album. Unfortunately the single wasn't as lucky Stateside. Without a real push from management (other than some nifty album jacket packaging), it failed to make a dent in the charts. "New York City," recorded at Toronto's Sounds Interchange, was also written during the Brutus days, but didn't make the cut for the band's only lp. The new version became Zwol's second solo single. It too found its way to vinyl in various versions, including two different b-side songs, and an extended version, but didn't fare as well as its predecessor. After nearly a year of shows throughout the east on both sides of the border, he took some time off and re-emerged at Toronto's Soundstage Studios in the spring of '79. With a new backing band where only Pinhorn remained, the cast was rounded out by guitarist Bernie LaBarge, Grant Slater on keyboards, and drummer Sonny Bernardi. The culmination was EFFECTIVE IMMEDIATELY, released that summer. With new producer John de Nottback helping Zwol, the album impressed the critics with a good mix of danceable rock rhythms held together with tight production and strong melodies. The first single was "Cheerleader," followed shortly thereafter by the lead off "Try It (You'll Like It), then by "Shaka Shaka." But again without much support from the label, the single stalled without cracking the Top 40 in the US or in Canada. Other noteable tracks included "It's A Wonder" and "This Love We Share." But unimpressed, EMI cut Zwol from their roster by the end of the year. Zwol continued on the circuit and formed The Rage which recorded one record, before taking an office job at Attic Records in the mid '80s. But by the end of the decade he'd gone back to music full time, and formed Naked Brunch, where he continued to play the odd show in and around Toronto. He resurfaced in 1993, around the same time as forming Naked Brunch. A new song "Lorraine" was included in Bullseye Canada's compilation UNSIGNED SEALED AND DELIVERED, VOL. 5. The song appeared again two years later on the soundtrack to the independent film "When The Bullet Hits The Bone."